HUAWEI’s sales revenue is expected to reach 520 billion yuan (K237 billion), up 32 per cent year-on-year. This was from the firm’s rotating chief executive officer Eric Xu in his New Year message for 2017 released online. Mr Xu said 2016 had been a challenging year for the firm both on the political and economic front across the globe in the countries that it operates I, nevertheless, that the firm had remained focused on its strategy. He said patiently the firm had applied itself to making breakthroughs thus creating real value for its customers as it continued to reinforce its position in network products and services. The CEO said in 2016 Huawei had achieved consistency of inventory accounts and goods, and made significant progress in administrative services. These results did not come easily and he had onbehalf of the firm thanked its customers and partners for their trust and support, toits staff for their sacrifice and dedication, and to the families of their staff for their unfailing support. “Our carrier business with cloud, video, and operations transformation as our strategic priorities, we helped grow the industry and move it forward. Throughout this process we have significantly boosted the working capital efficiency of our carrier business while maintaining robust growth. “In 2017, we will face even greater global political and economic uncertainties, and the ICT industry will continue to transform. We must identify the challenges before us. 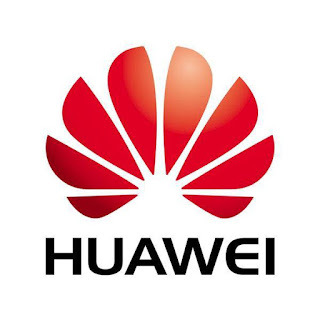 “Looking ahead, we will take the following measures to address the critical issues that Huawei may encounter in terms of business, operations, organization, and talent,” he said. He also stated that Huawei has realised double-digit revenue growth over the past few years and must sustain profitable growth and maintain healthy cash flow however the key to this is to improve quality, especially the quality of its contracts and operations. “We must avoid unnecessary formalities. We should focus on creating value and solving problems for our customers.